New robots are suturing, swimming, and slithering their way toward medtech device innovation. And they can help nurses schedule rooms and hand instruments to surgeons, too. But there's so much more going on in robot research these days. 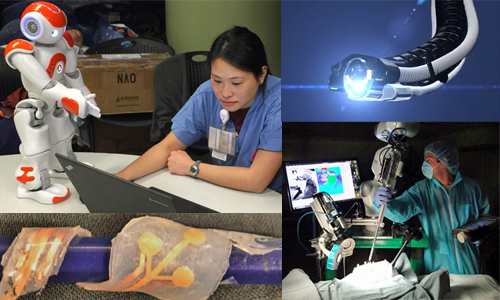 Medical and surgical robots are getting smaller and, in some cases, autonomous. The field of micro- and nanorobotics is growing so much that The Journal of Medical Robotics Research in Europe is planning a special issue on it. Its call for papers includes topics such as microrobot-assisted surgical systems--and micro- and nanorobotics for cell engineering, biological fluids and tissues, and surgery and therapy, as well as in-situ targeted/controlled drug delivery. Discover more about connected medical device innovation at BIOMEDevice San Jose, December 7-8, 2016.